We quote it, sing songs about it, outwardly rejoice in it; but, how much do you really believe it or apply it to our lives, circumstances, and troubles? If we were to review some of the marvels of God as we know it, we would see out of nothing a world being brought into existence. We would see where there is no life, the dead have been raised to life. We would see on the strength of nothing but His command, stars and planets being suspended in midair, hanging on absolutely nothing, as if an invisible hook were holding them in place. All of these events testify to His power and strength to do what we readily admit is the impossible. But, God’s power goes beyond Creation, performing miracles, and shocking us with the impossible that becomes very possible in His hands. God’s power is also alive and very available to help each and every one of us in our lives today, as well. And, here is the beauty in that. 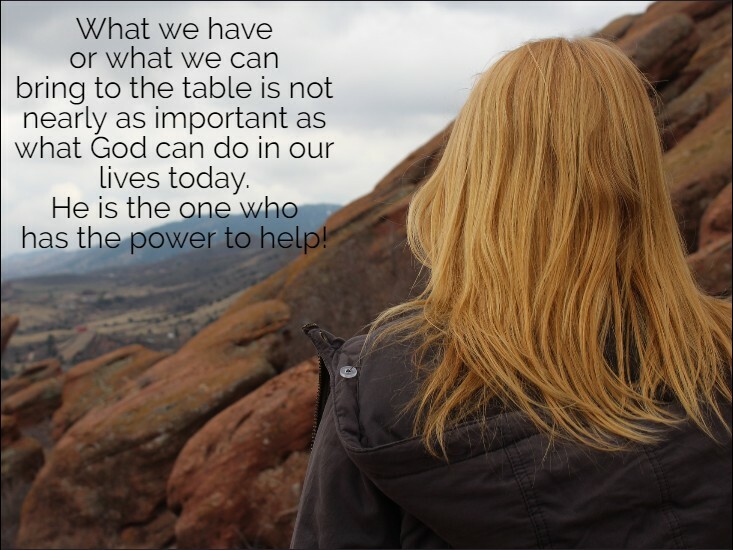 His power to help is not contingent on anything we bring to the table. It does not matter our skills or abilities, our wealth or the lack thereof. It doesn’t even matter the number of this or that that we try to bring into the mix of everything He wants to do in our lives. In 2 Chronicles 14:11, we see where it says, “And Asa cried unto the LORD his God, and said, LORD, it is nothing with thee to help, whether with many, or with them that have no power: help us, O LORD our God; for we rest on thee, and in thy name we go against this multitude. O LORD, thou art our God; let not man prevail against thee,” (emphasis mine). This Scripture prayer has often been my own that I have personally prayed and incorporated in my requests to God when I felt totally overwhelmed. For many of times I know I had nothing to offer. I know I had no power to personally make a change in a certain circumstance. I didn’t have the numbers that would chalk up to win on my behalf. There were times when I know I didn’t have the experience that says I was qualified to do this or that. I had absolutely nothing to add to the mix to benefit me for a positive outcome. Yet, it is nothing for God to still step in and help and to show His power strong in my life and yours. If you are struggling with the same feelings or dealing with a daunting situation, know that God’s power can and will still work for you today. What we have is not as important as what God has, and what He can do in our lives today. He is the one who has the power to help!